All right, fantasy fans, get excited! 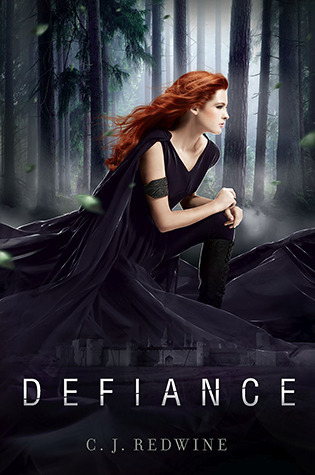 We have an interview with Defiance author, CJ Redwine, for you. We had so much fun talking to CJ about what inspired the intense emotions in this post-apocalyptic fantasy, her determination to write while juggling the duties of motherhood, and more-- and she answers listener questions! So if you submitted a question, tune in. In this episode, we also share our must-read book picks of the month: Eleanor & Park, by Rainbow Rowell, and Golden, by Jessi Kirby. Be sure to visit CJ at her website and visit her publisher, Balzer + Bray, an imprint of HarperCollins. Podcast hosting courtesy of archive.org. Intro music by 46bliss. Special thanks to our sound engineer, Marc Conrad Tabula, for his awesome audio editing skills. Please subscribe to Authors are ROCKSTARS! on iTunes so you'll never miss an episode, and thank you for listening.